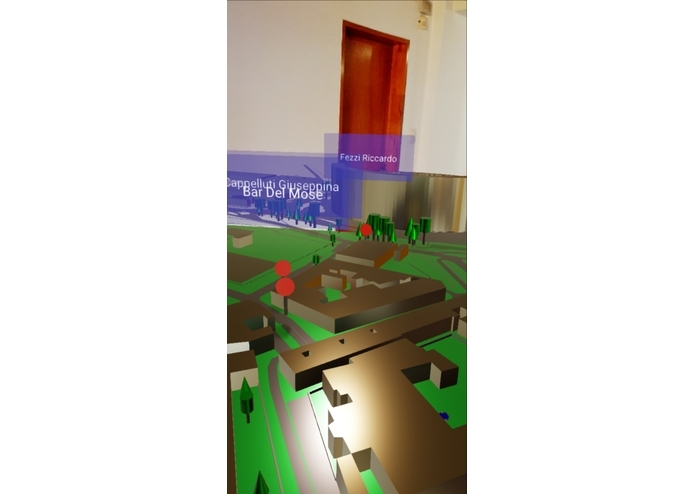 Display a real world 3D map model with real world Points of Interest on it, in an Augmented Reality application. 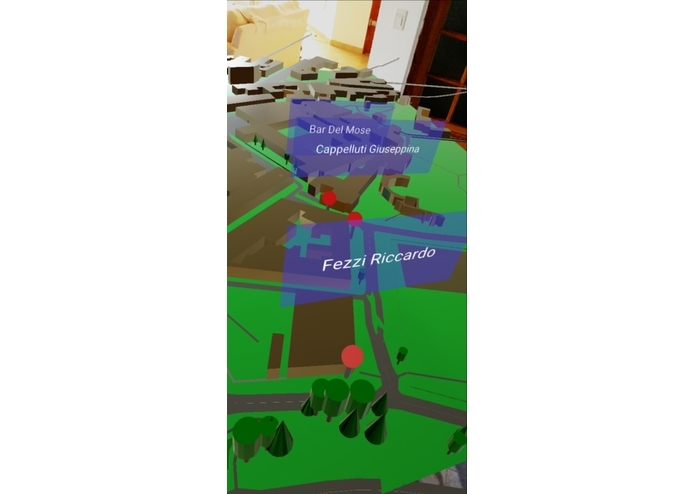 We were looking for a different Augmented Reality use case, something that became a challenge. 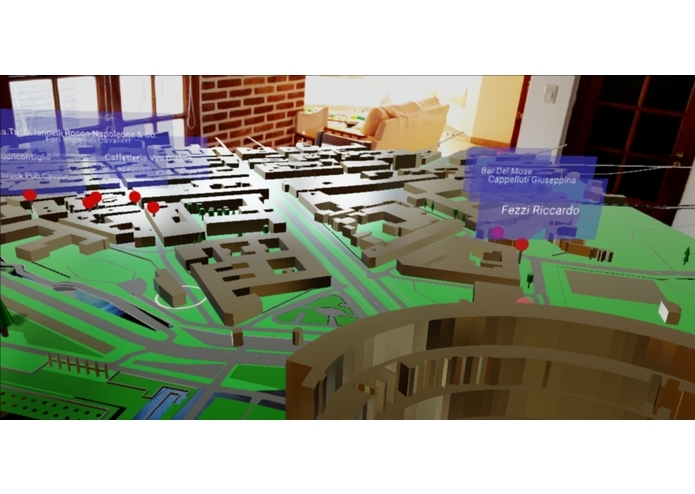 Placing geo-localization markers in a 3D model was it, as we have never seen that before. Also, it was a way to mix already know-how skills, like OpenGL and fetching POIs from a service. 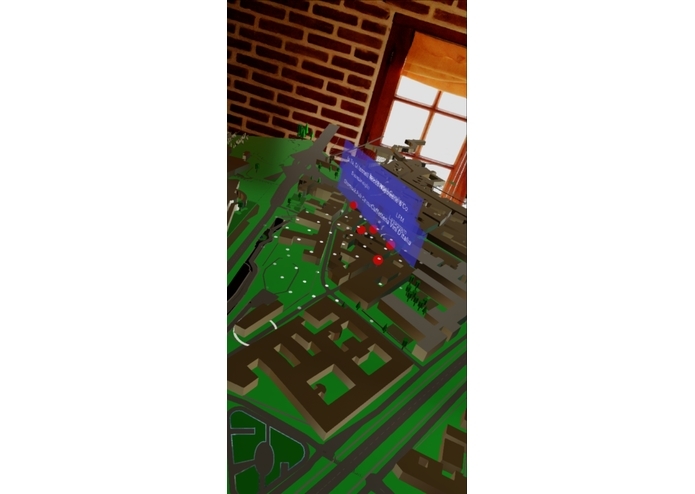 Display a real world 3D map model with real world Points of Interest on it, in an Augmented Reality application. 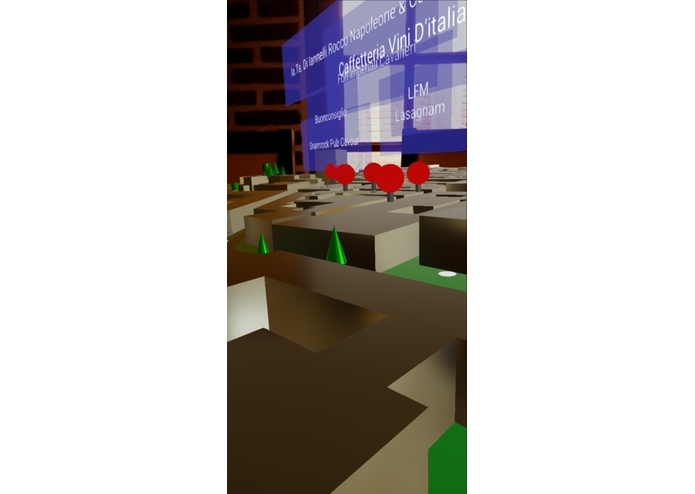 The app displays a portion of Rome with some coffee places around it. 1st, we download a 3D model map from Open Street Maps. Then, that model (.osm) was transformed to .obj using OSM2World tool. That obj file was cleaned using Blender (removing some weird polygons, changing some colors). Then, the obj model is imported to the android studio project via sceneform tool. To be able to translate gps positions to the 3D environment, some Map data needs to be set: - Map center. You can find that info in your .osm file, element bounds. ReferencePoint: This is a tricky one. Basically, we need a known point in the model to associate with a gps coordinate. In the example, we know that one corner of the Coliseum, with lat=41.89007, lon=12.49344 is in the vertex 235.84084f, -197.85388f (altitude not used). This info allow as to performa simple coordinates extrapolation, that it's good enough for a small map portion with not much high differences. Then, scenform and arcore do the rest. Map geo location to OpenGL vertex position was the main challenge. Also, we had some issues with the exported obj files (like missing roofs and weird lines). The frame rate is a problem with big maps. The main accomplish was to actually make it work :). Also, we took care about the project architecture. The idea is to make it easy to change models, POIs sources, etc. We implemented a "Clean Architecture" with reactivex, dependency injection. All the tools used (arcore, sceneform), and a little of Blender. User interaction to show/hide POIs info detail. Search other type of POIs. Idea, initial MVP implementation, architectural design and team lead. Refactor. Unit testing. Tomtom services integration.